i’m a big fan of and utilize my prime membership ALL the time. from last minute orders of cat food, to kitchen tools and anything and everything in between. i’m excited to be partnering with them to celebrate (and a half!) and all of the deals you can score on July 16th. 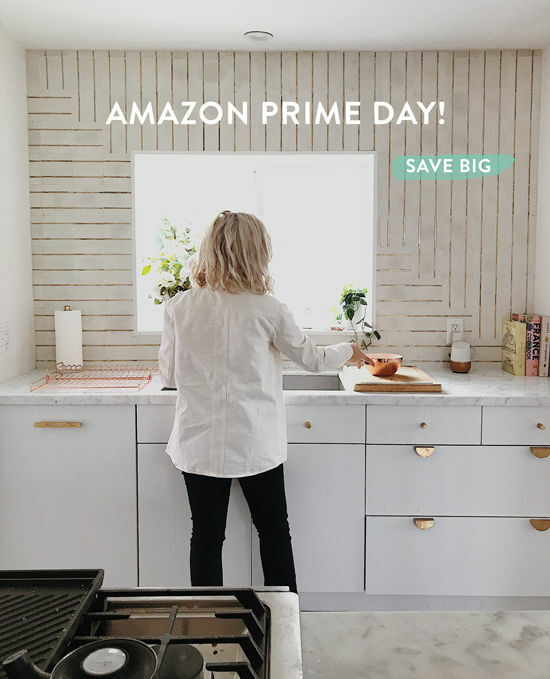 prime day last year got a little stressful, things sold out super quickly and it’s hard to know where to start shopping and what to look for. 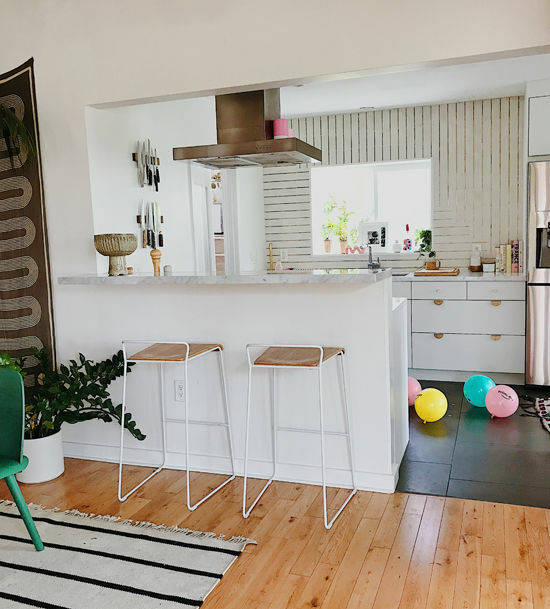 i put together a few prime day shopping tips that you can utilize and make it simple. make a list of items that you need before you shop the sale. i have an on going list of items that i’m looking to add to my kitchen, things like a new paring knife or kitchen towels. i know what i need so when it goes on sale i can grab it. 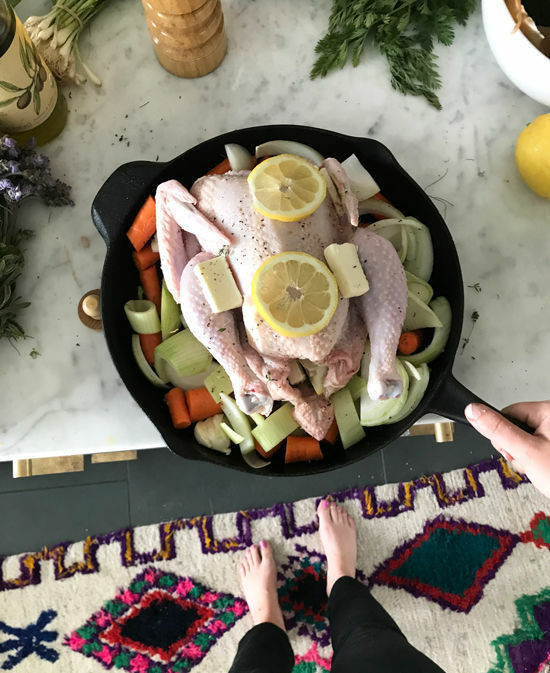 on prime day, you can save up to 30% on AmazonBasics items, and one of the things i recommend adding to your list is a it’s one of my favorite things in my kitchen, great for everything from frying eggs, to roasting a chicken, cooking a steak, etc. stock up on your everyday essentials, things like , , paper towel, etc. items that you buy frequently and can save on by stocking up. buy basics for the bedroom and bathroom, a sale is a great time to refresh your bathroom towels or buy new bedsheets. 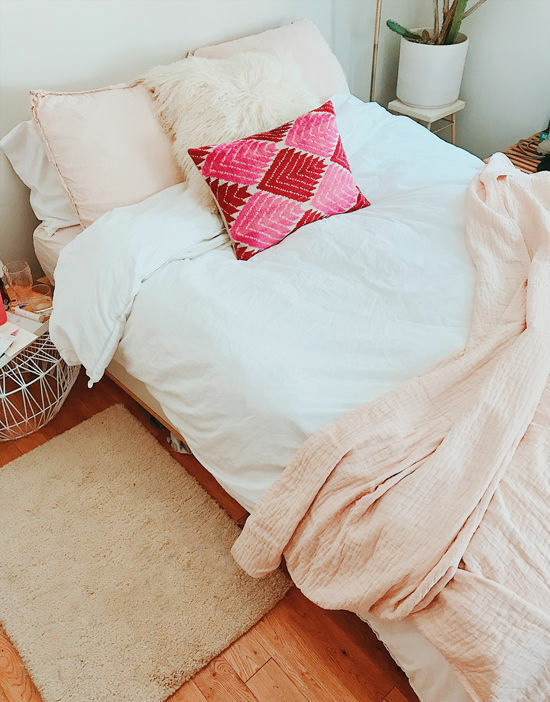 (pictured above in pink) is super soft and 100% cotton which is important to me when it comes to bedding, it makes it really breathable! i also love which is going to be part of the sale as well. 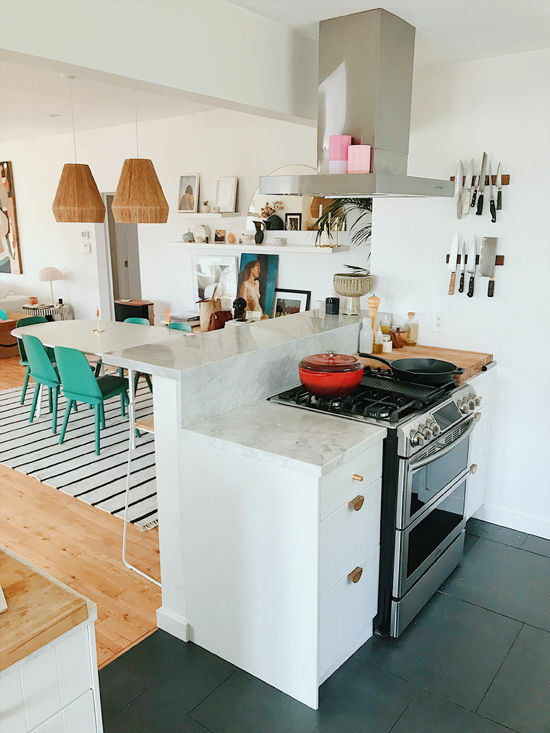 buy investment pieces, there are things like new knives, a powerful blender, juicer, etc that might be on your kitchen wishlist and now is the time to snag them. i’m particularly fond of my (this version is available exclusively to amazon prime members). you can utilize there in the amazon app by adding items you’re eyeing and then you’ll be notified when they goes on sale. what’s on YOUR prime list that you are thinking about getting?! this post was sponsored by . There is a HUGE strike being organized across the globe asking customers not to support Prime Day and instead support Amazon workers (especially warehouse workers). If you support the fight for fair wages and safe working environments, consider boycotting Prime Day. Do not visit the website or make purchases. Bri, figured you might want to be aware of this. Might be a bad look for you brand… this movement has a huge amount of support all over social media. Also came here to address the boycott around Prime Day, but Liz did a great job of illustrating why we should NOT be supporting Amazon during that time. It’s certainly not a day to celebrate. You’re someone I normally look to for inspiration – how to support local businesses and shop sustainably. We all know the power of amazon prime and there’s no denying its convenience, however amazon has continuously abused their power and is a big force against environmental sustainability. The over packaging, the way it’s taking purchases away from local businesses and small businesses, it’s TOO easy and I’m tired of giving the man my money. Please make an effort to be more conscience of these things that I know are important to you and your brand before you accept a sponsorship for a post like this. Amazon actually helps small businesses to exist by allowing them to sell products through them. I am a small business that sells my products through Amazon because it allows me to make a small profit on each sale and support my family. When you boycott Amazon you are also boycotting small businesses like mine that work hard to provide quality products to those who need them. I think it’s important to distinguish that this is a strike about supporting workers by boycotting Amazon for a single day, versus an ongoing plea not to purchase anything from Amazon. It’s great that your small business benefits from using Amazon’s services! Many of us do! But someone has to hold them accountable when it comes to paying their workers a fair wage and ensuring that their warehouses are safe. Unfortunately, large corporations often only get the message when their bottom line is impacted. 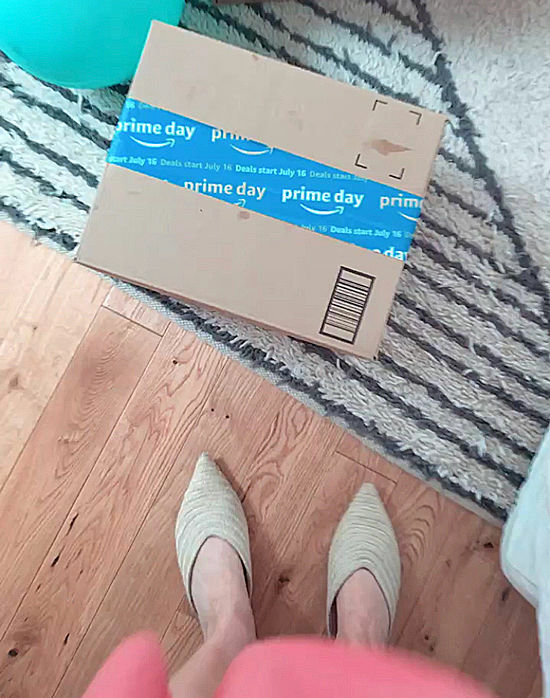 Whenever someone compliments my outfit i sat I got it in the Amazon!!! I love prime day. Just saying. In love with this one!